Finally, it's the last product of dUCk Cosmetics product that I promised to review last few month. Will the makeup remover win my heart this time? Let's click to read more! 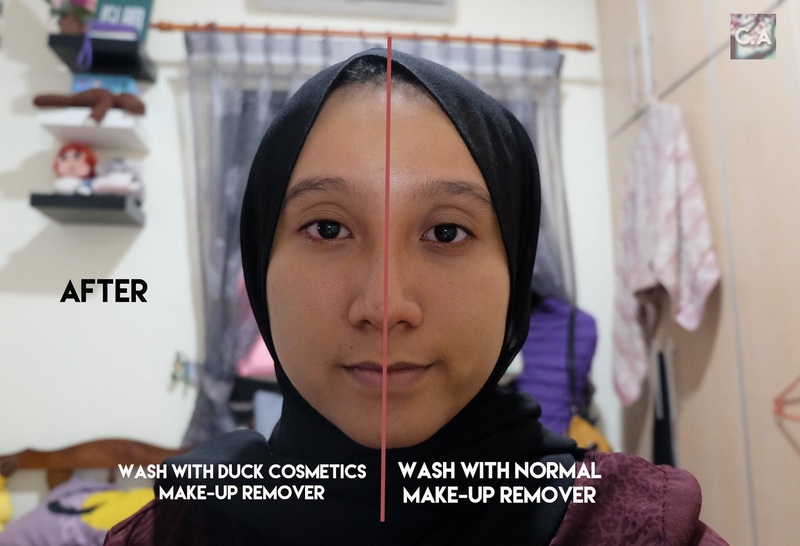 On September, my take on dUCK Cosmetics Lip Cream was really 'not that good', but I don't want to stop there and try to give a chance to their first in line products: Make-up remover! 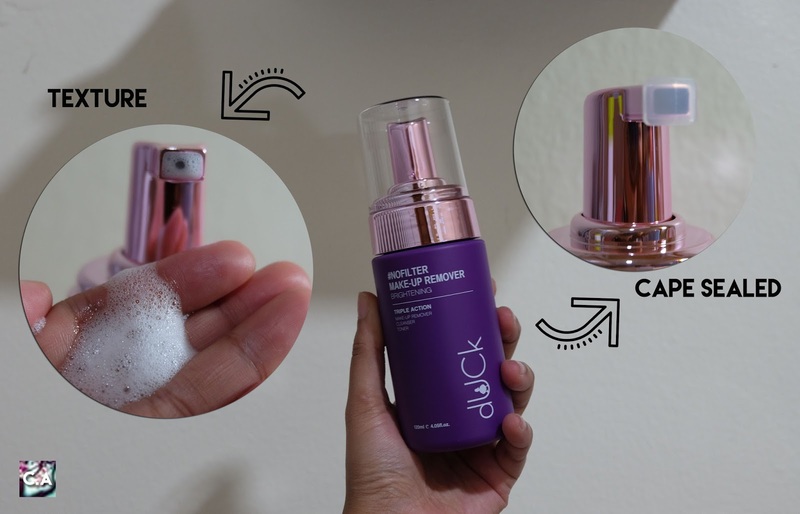 dUCk have two types of make-up remover: Hydrating & Brightening. I decided to go with the brightening one because I think the results will be much more visible. Let's start with the ingredients first shall we? INGREDIENTS: Water, Isohexadecane, Ethylhexyl Palmitate, Cocamidopropyl Betaine, Decyl Glucoside, Sodium Methyl Cocoyl Taurate, Glycerin, Sodium Chloride, Phenoxyethanol, Helianthus Annuus (Sunflower) Seed Oil, Canola Oil, Propanediol, Fragrance, Inulin Lauryl Carbamate, Ethylhexylglycerin, Butylene Glycol, Sodium Cocoate, Caprylhydroxamic Acid, Aloe Barbadensis Leaf Extract, Sodium Methyltaurate, Morus Alba Root Extract, Tocopherol. Oh, did I tell you that this is 3 in 1 product? They claimed it will remove your makeup, cleans and toner as well. I'm not sure it got that triple action going on but I can tell you one thing, 3 in 1 product is really hard to perfect. In terms of packaging, f you only want to bring hand luggage only it was not travel friendly as it exceed 100ml. The texture: When you squeeze, the foamy texture will came out but the inside is actually like a milky and lotion type. Smells? It reminds me of hotels body wash. 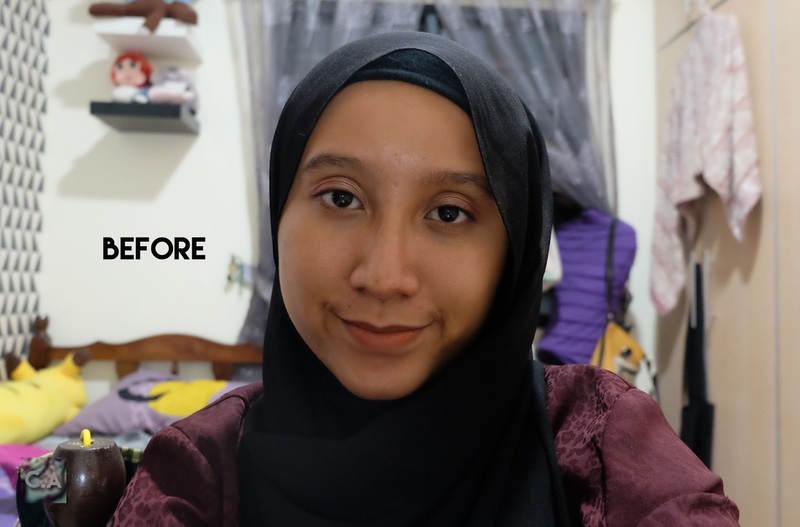 Overall, I think it's a great start to used and review about the makeup remover. Washing my face with different products. If you see on the after photo, it does brighter on that side but you can also noticed that my eyes are very red. Well honestly, the dUCk makeup remover does sting my eyes a lot, so I assumed that it got more chemical than my regular makeup remover. After effect? My skin feel smooth, looks brighter but I'm not sure whether it does toning my face because it feels a little bit dry. Plus, my hand get a little bit strange feels after I wash it. I would say 'ngilu' is the best description of it. 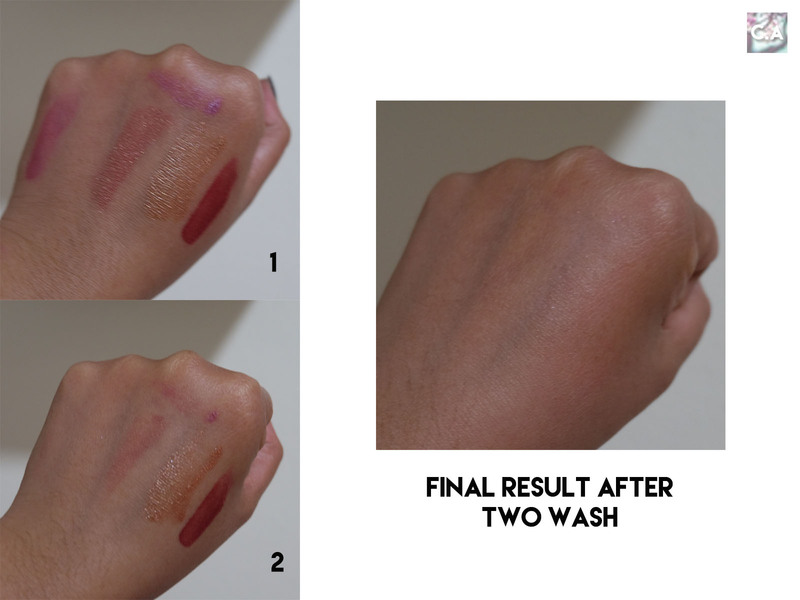 So, I tried it on the face but to make it more visible I decided to clean off this lipstick swatch out of my hand. FYI, this is all of dUCk cosmetics lipstick range. There are no claim that this make-up remover will do wonder and scratch all of your makeup at once. I think I'm not mad but it was a hurdle because I need to wash it up twice with a little bit of force to remove all the 6 colours. At the end, the residue still can be seen. Honestly speaking, I get turned off the moment I write their lip cream review. It goes the same to this product. I'm not write with emotional involvement but more towards logically speaking. With RM100 you can purchased other products that will do much more better and AFFORDABLE. If you are really interested to purchased their products, I would recommend you to visit their offline studio at Pavilion Kuala Lumpur and tried it all for yourself. I don't want my readers to feel disappointed like I do right now because Imagine I spent near RM200 for two products that doesn't work on me. Anyhow, I hope you love this post and till then! 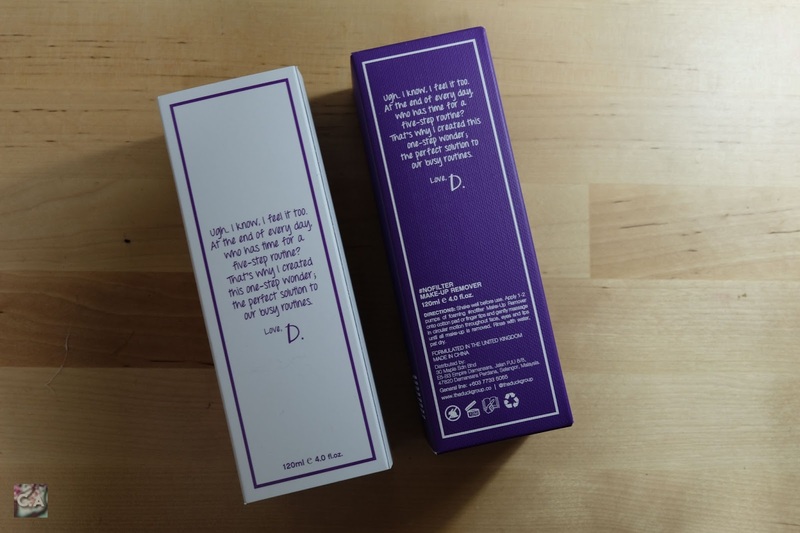 The back side of the packaging. make up remover safi ok..murah jer..